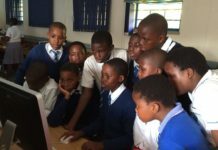 While the Square Kilometre Array South Africa (SKA SA) may be globally renowned for its cutting-edge science and advanced technology, the project’s proudest contribution is to the people of the nearby town of Carnarvon in Northern Cape, and by proxy to the South African people as a whole. 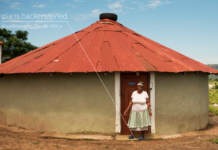 At a visit on 16 July 2016 to the SKA site, Science and Technology Minister Naledi Pandor recognised the contribution that this world-renowned radio telescope project had made to the community around it. Since the launch of the project in 2011, close consideration had been given to involving and benefitting the people of Carnarvon, including its youth. 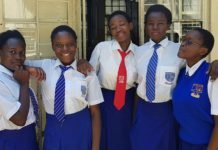 “We now see with the young people… that indeed science, astronomy sciences, can change communities, can change lives, can create opportunity, and can build new human capital in areas never imagined,” an enthusiastic Pandor said. 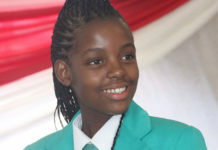 In addition to awarding study bursaries to matriculants at the local high school who have shown an aptitude and enthusiasm for science and technology, SKA also offers business and employment opportunities to local enterprises in the area, particularly during the construction of infrastructure around the SKA site. The project also provides technical apprenticeships to the community’s tradespeople, specialising in the various mechanical and technical operations done at SKA. During the site visit, three representatives of the town presented personal testimonials of how the project had changed lives. 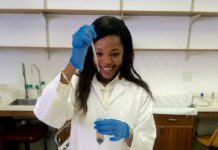 Janethon de Klerk is one of five Carnarvon High School 2015 matriculants who received SKA SA bursaries to study in the fields of science and technology. “I am busy with my bachelor’s degree in mathematics and physical science,” De Klerk said. She had finished her first semester with two distinctions. “I believe that now there are many opportunities for youngsters in our area in the field of science, mathematics, and technology. Clemens Scheepers, another bursary recipient, this time for technical and vocational training in diesel mechanics – a vital cog in the machinery that powers the SKA project – also spoke about how the project had changed life in the small, remote town. Local businessman Raymond Kamies, whose construction business has been tasked with building the road safety infrastructure between Carnarvon and the SKA site, also spoke of a knock-on effect of the project, saying he was now able to provide employment to more than 50 local workers, offering their families an opportunity of a better life. 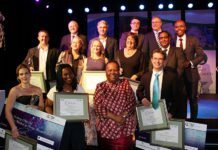 Rob Adam‚ project director of SKA SA, reiterated the organisation’s commitment to investing in the community and continuing to develop and nurture a passion for science and technology that would benefit all South Africans for generations to come. Next articleBrexit: How can Africa benefit?